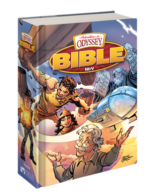 New and long-time fans of Adventures in Odyssey are in for a real treat this year as the Odyssey team prepares to release its brand-new 90-Day Devotions for Kids. 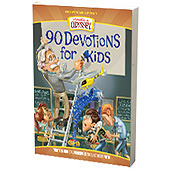 Written by the Adventures in Odyssey team, 90-Day Devotions for Kidsprovides fun, Bible-based devotions for families and will encourage children to spend time learning more about God. There are no better mentors than Whit and the folks from Odyssey to partner with parents as they teach their children about God’s Word and make the truths of the Bible accessible to their kids. AIO’s 90-Day Devotions for Kids includes thirteen weeks of devotions. Sidebars from Odyssey favorites Wooton, Whit, Connie, and Eugene provide friendly suggestions for life applications. Each week has an individual theme and will include an overview to introduce the theme, seven devotions that reference AIO dramas, and an activity, puzzle, or game to reinforce the core biblical truths taught during the week. Parents will find the tools they need to help start children on a path toward regular time alone with God, and families will be encouraged to spend time together as they share the daily readings. You can learn more about the book and see a high-resolution version of the cover here. The book is currently scheduled for release October 2012. Interestingly, the book’s illustration is reminiscent of an earlier devotional book released by Focus and the Odyssey team. You’ll notice the use of ladders and paint are the same between the two covers. 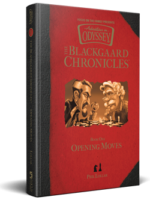 Of course, we’ll keep you posted on this and other great upcoming Adventures in Odyssey products in the future. As our facebook page states: “Get Scooped”.